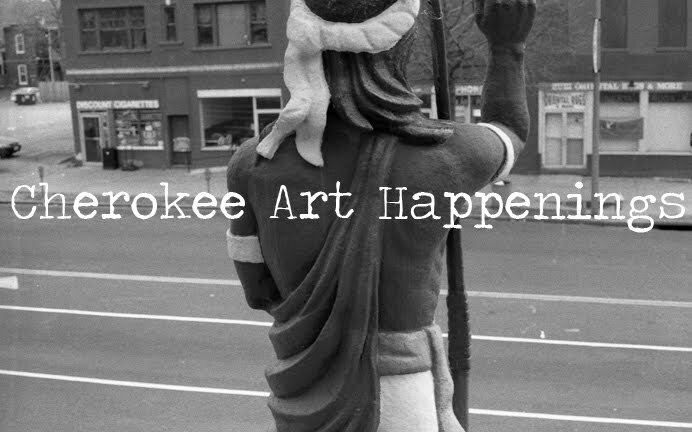 Cherokee Art Happenings: Where have you gone, Cherokee Art Happenings blog? Where have you gone, Cherokee Art Happenings blog? Where have I been? Obviously there was nothing going on on Cherokee Street for the past 2+ months, or I totally would have posted about it. Heh. This blog was born out of what I perceived to be a need at the time — a one-stop-shop for art-related happenings on Cherokee Street. I was getting e-mails from one place, word-of-mouth information from another, seeing blog posts from another.... And thought it would be useful to have everything in one place, to help to tell the story of how vibrant the arts are on Cherokee Street. In the past couple of years, it's been much easier to find this information than it once was: like many people, I keep up with lots of Cherokee Street events and art news on Facebook now, and I've seen less of a need for this blog. But: I hate to let it die altogether. After all, not everyone is on Facebook, and not everyone wants to be. So I'm recommitting to making an effort to keep this blog updated when I see art-related stories and events related to Cherokee Street. We'll see how that goes! In the meantime, as always, there is great information on Cherokee Street News, so be sure to visit there!